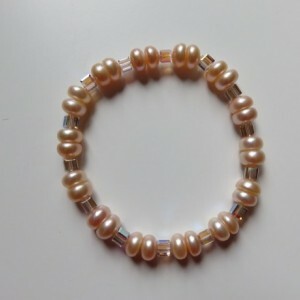 7-7.5" stretchy bracelet with genuine 9-10mm potato pearls & genuine Swarovski 8 mm bicone crystal beads. 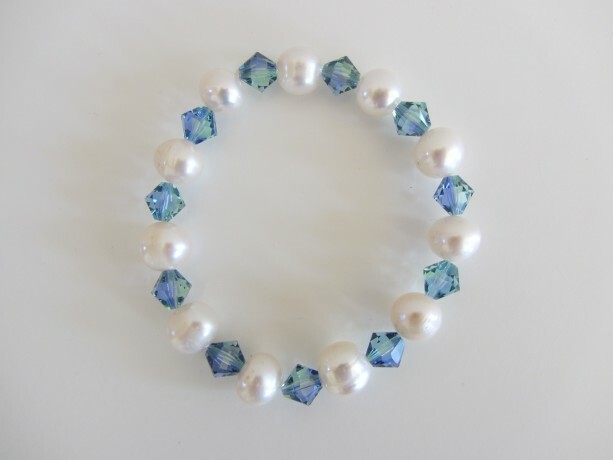 The Swarovski beads reflects light blue, light green and a lavender colour depending upon the angle. It's quite fetching! 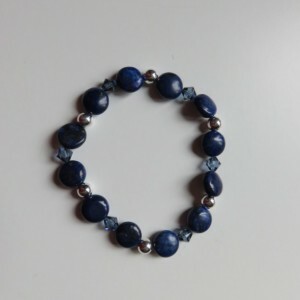 The beautiful shape of the larger potato pearls along with the bigger crystals can be worn to dress up a pair of jeans or be worn with tans, blacks, navies, or green at the office or a night on the town.